…whetting your taste bud one meal at a time. There are varieties of ways to make tomato stew in different countries, the taste you want is inspired by the ingredients you put into the stew. For people avoiding a lot of fried food, you can stick to this procedure, this is non-fried stew method with grilled chicken. • Place the chicken in a pot, season with onions, salt, thyme and other seasonings, place on a medium heat and cook for 20 minutes . • Allow to boil out water on its own and add water as soon the water is about to dry up. • Put the Chicken down, remove and place in the oven to grill for 20 minutes (set on 350-degree). Note: you can spray some little spices on the meat as needed. You can also use Non-stick spray oil to avoid the meat sticking to the pan. • Blend your Tomatoes, Peppers, Garlic, ginger and some onions (optional). • Cut some onions into pieces and set aside. • Place all you blended ingredients to the pot and cook to dry up the water, then add the tomato paste, stir consistently while you add other seasonings as needed (put the stove on low heat to avoiding burning). • After 60seconds, wash and add your dry curry leaves (adding it before the meat stock gives it a unique aroma). • Add the vegetable oil, be careful not to over pour it. Let it cook for a minute, then add your chicken stock and crayfish. • Add more water and adjust the taste if necessary, then allow it to cook on medium heat for 2minutes. 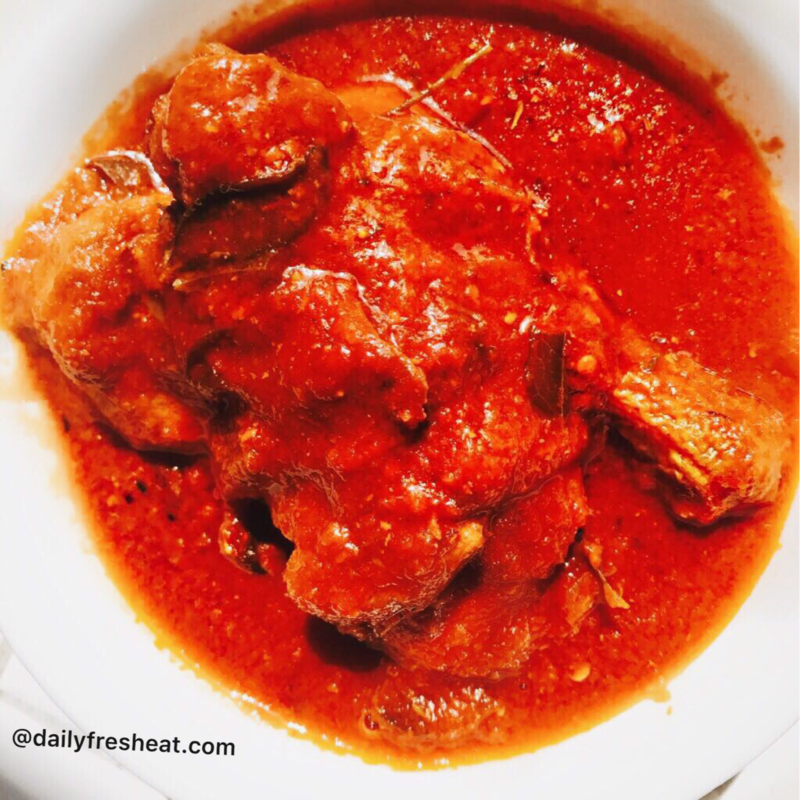 • Your non-fried stew is literally ready. 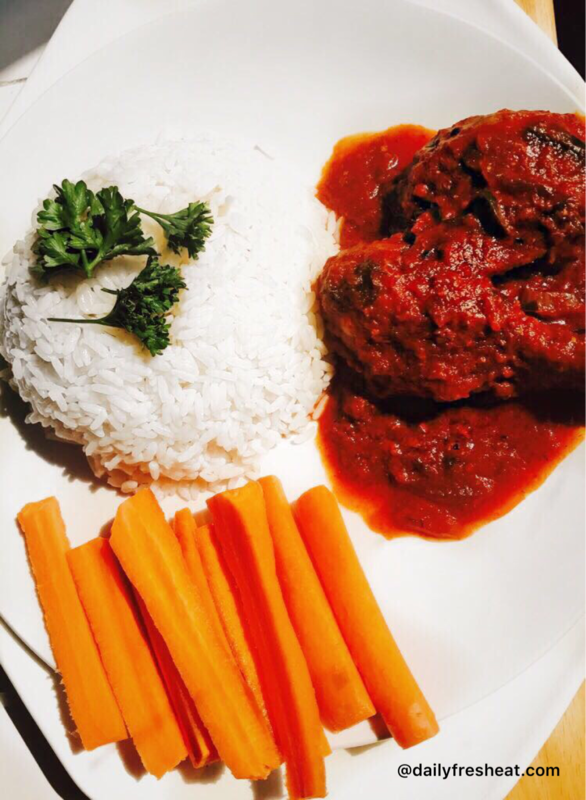 Turn off the heat and serve with white rice, fried plantain, boiled or cooked yam. You can also add as a sauce to your beans.